^ Wheeler Honored, Princeton Alumni Weekly, Volume 65, June 8, 1965. ^ a b Biography of J. Schwinger from University of St Andrews, MacTutor History of Mathematics Archive (Last accessed Dec. 17, 2006). ^ a b c The Month at Caltech, April 1954 issue, p. 20 (Last accessed on September 4, 2007). ^ a b The Americana Annual 1962, An Encyclopedia of the Events of 1961. Americana Corporation. (1962). ISSN 0196-0180. ^ a b Astronautics and Aeronautics, 1967. Scientific and Technical Information Branch, NASA. (1968). ISSN 0519-2366. ^ Sigmund; Dawson; Muhlberger (2006). Kurt Godel: The Album. ISBN 3-8348-0173-9. ^ Details about the Hans Albert Einstein Award, from the ASCE website (Last accessed on September 11, 2007). ^ a b White, Gribbin (2002). 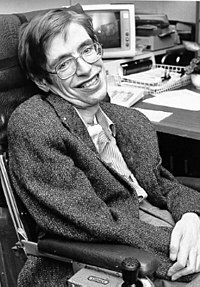 Stephen Hawking: A Life in Science. ISBN 0-309-08410-5. ^ Biographical Memoirs V.56. National Academy Press. (1987). pp. 134–179. ISBN 0-309-03693-3. ^ Edward Teller—Awards & Degrees Archived 2006-10-06 at the Wayback Machine. from LLNL website (Last accessed Feb. 11, 2007). ^ Biography of W. F. Libby at nobelprize.org (Last accessed May 13, 2008). ^ Bernard T. Feld, ed (1972). The Collected Works of Leo Szilard: Scientific Papers. MIT. p. 15. ISBN 0-262-06039-6. ^ McGraw-Hill Modern Scientists and Engineers. (1980). ISBN 0-07-045266-0. p. 302. ^ David Calhoun, ed (1980). Yearbook of Science and the Future. Encyclopædia Britannica (UK) Ltd.. ISBN 0-85229-375-5.